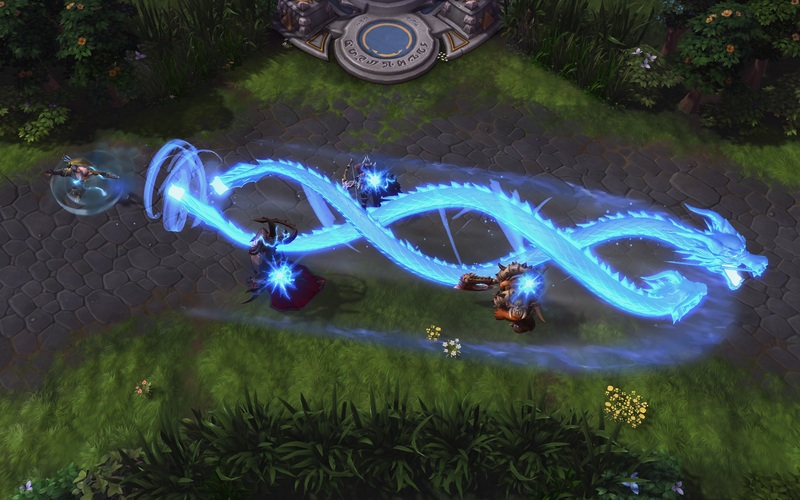 There are two new heroes coming to the Nexus and they both bring the spirit of the dragon in different ways. Blizzard announced during the BlizzCon Opening Ceremony that Heroes of the Storm would soon add Overwatch's Hanzo and Warcraft's Alexstrasza to the playable roster. Both characters add some heavy firepower to the Heroes roster, albeit in their own unique ways. Shacknews was fortunate to go hands-on with both of these heroes during this BlizzCon weekend. Let's start with Alexstrasza. She'll take the battlefield in her human form, but her trait is unlike any other in Heroes of the Storm. Her Dragonqueen trait allows her to transform into her powerful dragon form and fight alongside her allies in that form. As Hanzo showed in their debut cinematic, Alex's dragon form isn't invincible, but it is entirely capable of completely swinging matchups. (Q) Gift of Life: Alexstrasza can take off 15% of her own Health bar and use it to heal an ally for 150% of that amount. It's a costly heal, but one that could help a more powerful ally in a pinch. Alex's Dragonqueen form does not have this drawback and can heal an ally without penalty. (W) Abundance: Alexstrasza places a seed on the ground that blooms after 3 seconds, healing any ally near that surface. This is only useful if your teammates stand still long enough to heal up, so make sure they're nearby and aren't moving too much. Alex's Dragonqueen form will increase this move's radius. (E) Flame Buffet: This is Alexstrasza's primary damage-dealing spell, as she launches fireballs at foes for 75 damage over 5.5 seconds. Repeated strikes do heavier damage, while also slowing the target. Alex's Dragonqueen form will add Knockback to this attack. This will be a go-to attack for many players. (R1) Life-Binder: Want to play Alex as a healer? Use this Heroic Ability, which binds Alex's Health with an ally. Whoever has the lower life total will have their health boosted to the same level as their teammate. (R2) Cleansing Flame: This attack hits hard and is likely to see much more play than Life-Binder. Cleansing Flame sees Alex take to the skies and rain down five fireballs wherever the mouse cursor is pointing. This is capable of taking down multiple Heroes at once. Alex is an odd duck, because I didn't find her too effective as a healer. That's probably because I was playing with AI teammates, who couldn't stand still to take advantage of Abundance, but I found myself going on the offensive with Alex more often than not. Her Flame Buffet and Cleansing Flame hit very hard and can strike from afar, keeping her at a relatively safe distance. Her trait is also worth mentioning, because how often can someone turn into a dragon at the tap of the (D) key? Alex's attacks get significantly more powerful when she uses her Dragonqueen trait and is capable of leading charges. The trouble is that it wears off quickly and it has a long cooldown. The cooldown can get reduced with late-game talents, but it's something to keep in mind. Don't abuse the dragon power. (Q) Storm Bow: Hanzo's bow hits hard, causing 270 damage to the first enemy hit. It can be charged for long-range attacks. (W) Scatter Arrow: The first enemy that gets nailed with this gets damaged for 85, but Scatter Arrow gets more dangerous after hitting terrain and structures. It'll split and ricochet, causing additional damage to any enemy these arrows strike. (E) Sonic Arrow: Need a look at what's up ahead? Fire the Sonic Arrow to get an 8-second look into the Fog of War. Skilled marksmen should look to land the Sonic Arrow directly on an enemy's cranium for massive damage. (R1) Dragonstrike: Overwatch players should be all-too-familiar with this move. Hanzo unleashes his twin Spirit Dragons, causing gradual damage to any enemies they pass. Enemies caught in the middle take 150% damage. (R2) Dragon's Arrow: Hanzo's also bringing something new to the table. The Dragon's Arrow move can travel across the battlefield, exploding on an enemy and causing massive damage to them and all nearby allies, while also stunning them. There's huge potential for shenanigans here, which I'll touch on in just a second. Hanzo is going to take a lot of effort to master, especially since there's a learning curve to his Natural Agility trait. This trait allows Hanzo to leap to the opposite side of unpathable terrain or a Structure. The trouble with this is that the terrain or Structure has to be targeted. That's tricky when on the run. In my case, by the time I was able to target something, it was too late and I was already dead. I imagine that it's something more advanced players will get the most out of, while casual players lose patience with it. I found Hanzo to be an effective offensive scout. Sonic Arrow is a helpful move to see what's on the horizon, while Scatter Arrow is a solid offensive option. While Scatter Arrow doesn't have nearly the range that something like Medivh's raven does, it's still a great tool for scouting any danger that might be up ahead. Dragonstrike might be a good sentimental move for Overwatch players, but let's not ignore the potential damage that Dragon's Arrow can do. Skilled Hanzo players will be able to sit on this move as an emergency measure. If the team wants to rush ahead and Hanzo is just respawning, he can fire off the Dragon's Arrow all the way across the map and completely wipe out the opposing team, setting them up for a massacre. I'm eager to see what pro Heroes players can do with this attack, because I get the sense that this could be insanely powerful in the right hands. 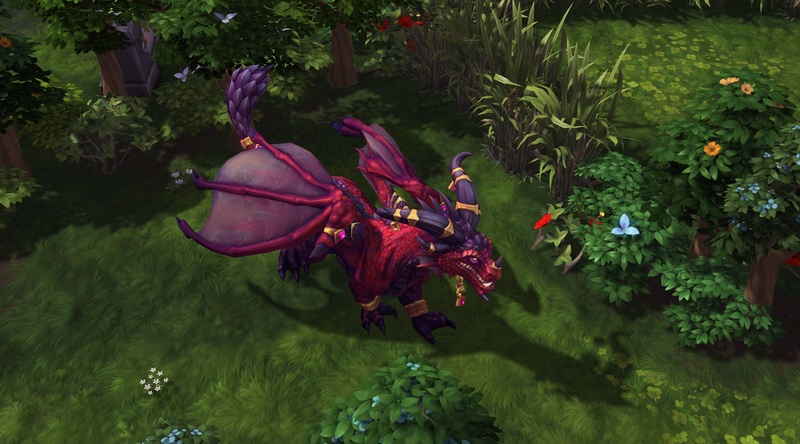 Look for Alexstrasza to come to the Heroes of the Storm PTR first, followed by Hanzo shortly thereafter. The PTR is expected to get these heroes in the weeks ahead.